Not every essential oil will work for everyone in every way. Just like some people will respond better to different diets, we all respond differently to the oils. If you are wondering why certain oils work on your friends and family, or why an oil works on you once and not the next time, I have a simple explanation why. We often use peppermint on occasional head tension. When I feel it coming on, I will roll a drop across my forehead, on my temples, and sometimes on the back of my neck. Twice this worked for my hubby, but the third time it didn't. It could depend on what type of tension it was; sinus, cluster, etc. Sometimes the peppermint oil will work, and sometimes it won't. Oils work with our body chemistry. And since everyone's chemistry is different, the oils might work different on you. Not only does body chemistry vary from person to person, but it may also vary for an individual daily, monthly or seasonally. It depends on hormones, disease, illness, stress, etc. 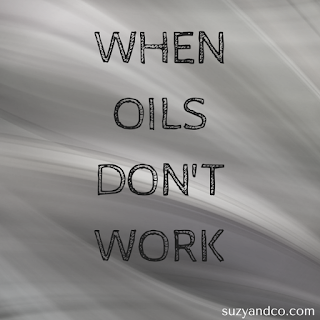 If something is recommended and it does not work, you may need to try a different oil or combine oils. Don't give up. Just ask for alternative suggestions. If you would like more information on how essential oils work in our body, I would highly recommend this book. It is well written, with easy-to-understand information in short mini lessons. 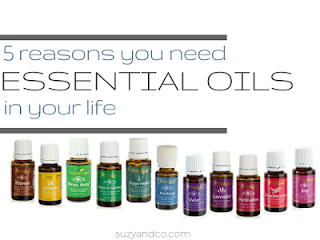 For more reasons why YOU NEED essential oils watch this quick slideshow.